The special role of confinement nanny or pui yuet is a long-standing practice in asian cultures. Experienced and caring confinement nanny for twins is a great relief and help to mothers with the transition from pregnancy to motherhood. 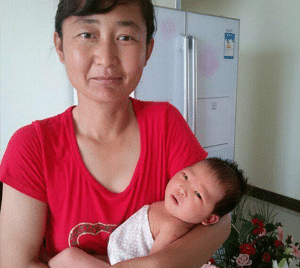 Confinement is seen both as a time to bond with the baby and recovery in Singapore, Malaysia and other asian countries which includes a detailed regimen and daily schedule. In many western cultures, confinement, or “sitting the month,” went by the wayside long ago. While pregnancy leave and time off work are common, most mothers are taking their little ones outdoors and on errands within weeks of giving birth. However, there has slowly been a return to confinement practice, particularly when birthing twins. Many women find it therapeutic and helpful after giving birth. 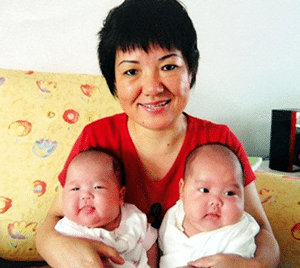 In Singapore, women spend up to 28 days after giving birth, sometimes longer for twins or difficult labors, in confinement centre or their own home under the traditional beliefs. It is during this time that the new mother needs additional help with motherhood, cooking confinement food and tasks around the home, which is not a role many husbands can or want to play. When a woman give birth to twins, all of these tasks are doubled. This makes the need for assistance with a confinement nanny even greater. Why Hire a Confinement Nanny for Twins ? It is normal for a new mother to constantly worry about the health, development, and happiness of a newborn. Each cry is analyzed and every movement noted. With twins or multiples, the concern for the progress and health of new life is doubled or tripled. Although the joys and excitement are doubled as well but all the worries are expounded if there is only one mother to carry the burden. This is why hiring a caring confinement nanny for twins or multiples can be particularly important. Confinement nannies share the burden of caregiving. A new mother with twins should look for confinement lady who has prior experience working with twins or multiples. This is nearly a necessity, not a maybe for twins or triplets. With twice the number of diapers to change, and twice the feeding time or midnight cries, carrying twins simultaneously, there is certainly more than enough work to go around. New parents are always helpless when baby cries, let alone having two babies cry at the same time. The confinement lady can share great tips to the parents such as how to calm a crying baby and deduce the reasons for their crying. Certainly a lot of things to learn from the confinement lady during the confinement time which she can share her personal experience, practices and procedures of motherhood for the new mother and babies. In addition to providing care for the twins and directions on the early days of motherhood, a confinement nanny is partly a nurse. There is a therapeutic and restorative aspect of the role that seeks to help the new mother recover after childbirth. Much of this comes through confinement food and careful cooking by the confinement nanny. Confinement nanny job scope for twins is similar for single birth except the workload is doubled. Hand washing mother’s clothes and clothes for twins. House cleaning such as sweeping the floor, ensuring hygiene in kitchen and home environment. As the usual workload of confinement nanny is doubled, the confinement nanny rates will normally be higher than usual cost. In fact, not all the nannies want to or have experience in taking care of twins or triplets or more. It is more tiring and easily misunderstood by parents if they are not able to understand the situation. Live-in confinement nanny is better recommended than part time confinement lady for twins. Normal confinement nanny rates from MOM licensed confinement nanny agency or employing confinement nanny directly for single birth range from S$2300 to S$3200. 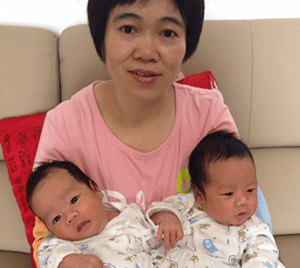 The average cost of confinement nanny for twins is S$3500. It is also necessary to apply work permit for confinement nanny which government levy still applies. Thank you for your assistance to find a good confinement nanny for my twins daughters. Appreciate it. We cannot imagine what will happen if June is not around to help us. June is very encouraging and accommodating. Can see her love and dedication to our babies. She has taught us so many things from newborn to educating our child. Thank you NannySOS for recommending June to us! First time mummy and we are so worried we cannot find a good confinement lady for our twins. Certainly recommend all new parents to get yourself a confinement nanny or extra hands. Really no joke! Thank you NannySOS for recommending Mary to us. She is very devoted, cook like a professional chef and do things with responsibility. We will miss you! Thank you Michelle for taking care of me and my boys! She is very helpful, get along well with my mother at home. I miss all the meals she prepared for us especially the black vinegar pork leg!! My favourite! Keep in touch, take care always!